How to know which content database a site collection is using in SharePoint 2016 or SharePoint 2013? Here we will discuss how we can easily know which content database one site collection is using in SharePoint 2016 or SharePoint 2013. We can see how we can know this from out of box way and also we can see how we can know using PowerShell. We can get to know from the central administration. Open SharePoint 2016 central administration. Then click on Application Management. Then under Site Collections, click on View all site collections. Using PowerShell also we can be able to know which content database one site collection is using. 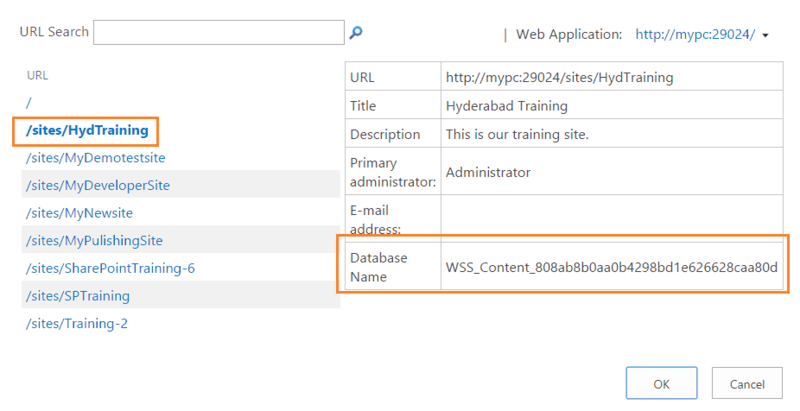 How to know which content database a site collection is using in SharePoint 2016 or SharePoint 2019? Next Article How to use asp.net repeater control in SharePoint 2013 using Visual Studio 2013?